If you’ve been paying any attention to the NBA this season, you know the names who will earn top billing should their teams reach the Finals in June — Kevin Durant, Giannis Antetokounmpo, Kawhi Leonard, James Harden, Nikola Jokic, Joel Embiid and Kyrie Irving, to name seven. You’re pretty sure what you’re going to get from these guys in the playoffs, and that’s what makes them All-NBA talents. We’re here instead to highlight seven co-stars who could swing their team’s fate from upset-fodder to title-winner. We’re less certain what we’ll see from them, and which one meets the moment most often may determine who emerges as champion. The 29-year-old former All-Star was supposed to be the fulcrum of a title contender, serving as a secondary floor-spacing scoring option in one of the most dangerous starting lineups in the league and as the primary playmaker when Kyrie Irving was off the floor. Hayward was the do-it-all wing who was going to make it all work. Together, he and Irving would elevate a team that reached Game 7 of the 2018 Eastern Conference finals without them. Except, we forgot it takes more than a year to repair an ankle that all but exploded. Hayward was, quite frankly, not good for a huge chunk of the season — a step slow defensively and downright timid offensively. This was not the uber-athletic and ever-attacking player that earned a max contract in 2017 free agency, not even close. Celtics coach Brad Stevens continued to play Hayward to the detriment of the team, if only because they needed him to be that fulcrum if they were to contend this season, and it was one of many reasons they have underachieved. Investing all those minutes in Hayward has paid off over the past month. Since he erupted for 30 points in a win over the Golden State Warriors on March 5, Hayward has averaged 15.4 points on 57.9 percent shooting (38.7 percent from 3-point range), five rebounds and 3.4 assists in 28 minutes per game. The Celtics have outscored opponents by a team-best 8.8 points per 100 possessions with Hayward on the floor since the end of January, a few ticks below Harden’s net rating in that same time span (9.2). Boston’s 113.5 offensive rating and 104.7 defensive rating with Hayward on the floor over the past two-plus months would rank as the NBA’s third- and second-best marks if averaged over a full season, respectively. If that progression continues into the playoffs, Hayward should see an increase in minutes and usage, limiting the amount of time Marcus Morris spends on the court and creating the matchup nightmare the Celtics imagined for teams also trying to contain Jayson Tatum and Jaylen Brown on the wings. Someone will find an opening, and Hayward is no longer the “liability” a Warriors player pegged him to be earlier this season, which is a glimmer of hope that it could all still work. For as good as Middleton has been this season — his first as an All-Star — there is still some question as to whether he can be the sort of secondary star teams need to truly contend. He was incredible in last year’s seven-game first-round series against the Celtics, averaging 24.7 points (on 61 percent shooting from 3! ), but the Bucks have to wonder if it is possible to replicate anywhere close to that production in later rounds this year. Milwaukee is far deeper than it was a year ago, and the arrival of Brook Lopez tilted the floor in a way that makes it feel like Antetokounmpo can bowl his way to a strike every time down the floor. That may mitigate an almost inevitable playoff regression to the mean from Middleton, as would a plus performance from Eric Bledsoe, who might also belong on this list and bears a greater responsibility for the Bucks’ early exit in 2018. Yet, prolonged absences from Malcolm Brogdon (foot) and Nikola Mirotic (thumb) could require Middleton to carry a similar weight. It is one thing for Middleton to reach his ceiling against the Celtics again, as he has always performed well against them, but to ask him to also do it against the Philadelphia 76ers or Toronto Raptors, and then the Warriors, who all field wings capable of challenging him, is a tall order — one required of a guy seeking a max contract in free agency come July. This is his chance to validate that All-Star nod. It is easy to credit Kawhi Leonard’s arrival for Toronto’s ascendancy from LeBron James’ whipping boy to, “No, really, this is their year.” He is a two-way force capable of bending games in his team’s favor like few others. But the rise of Siakam from interesting reserve to freakish regular — a development that makes him a favorite for the Most Improved Player Award — has just as much to do with our legitimization of Toronto’s title chances as the upgrade from franchise cornerstone DeMar DeRozan to Leonard, if not more. 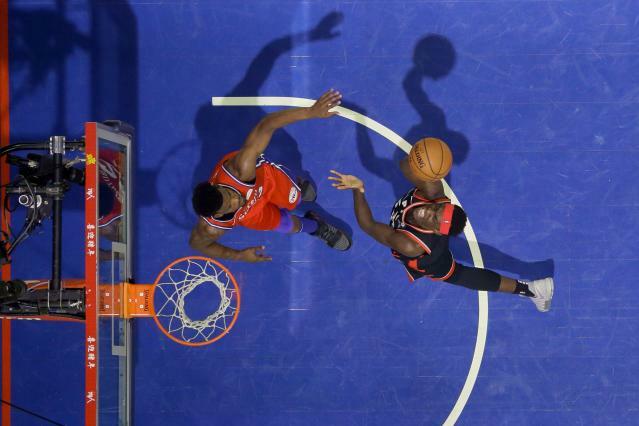 Siakam has demonstrated the ability to carry a superstar load in Leonard’s absence, including a 44-point outburst just before the All-Star break. In his last seven appearances in games Leonard rested, Siakam averaged a remarkably efficient 24 points, 8.6 rebounds and 4.1 assists — numbers not all that dissimilar to Leonard’s season averages. When both have been on the floor together for Toronto, the Raptors are outscoring opponents by 10.3 points per 100 possessions, scoring and defending at levels that rival the league’s best efficiency marks. These are all signs Toronto could steamroll the East. Siakam can play at an All-Star level, and Leonard will need another one at his side against teams fielding lineups full of them, especially if Kyle Lowry’s postseason foibles reappear. Except, we aren’t sure how Siakam will respond, either. The 25-year-old finished a net negative in eight of his 10 playoff appearances off the bench last year. Given his talent and athleticism, the stretchy forward’s improvement should translate to the postseason, but as with all things Raptors, we’ll believe it when we see it. The four-time All-Star has assumed the role of closer on a Sixers team led by a 6-foot-10 point guard who refuses to shoot and a 7-foot center with a tendency to lose steam late in games he’s carried through three quarters. That is vital to a team that suffered three of last year’s four second-round losses to the Celtics in the final minute. Never was that more evident than when Butler scored 15 fourth-quarter points in a confidence-boosting win over Boston late last month, including the dagger with five seconds left. After an up-and-down first couple months assimilating following his mid-November trade to the Sixers, Butler found his groove in the weeks sandwiching the All-Star break. That has wavered over the final handful of games, whether for intentional load management purposes or as a result of tightness in his back that cost him a couple games. He is nothing if not unpredictable. The one thing we know for sure about Butler is that he will show up to the playoffs demanding to play, filled with the belief that he is the type of player capable of closing out a championship. 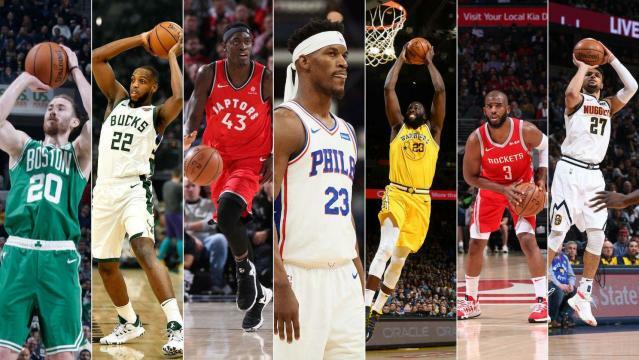 It is one thing for Butler to blend first with Philadelphia’s young stars and also welcome the addition of a fellow in-his-prime star via trade, and another to coexist in the playoffs, when the intensity is turned to 11, heroes are born and goats are sacrificed. Especially when you are Jimmy Butler, who has clashed with co-stars at every playoff stop of his career. With free agency on the other side and max money potentially hinging on his ability to contribute to a contender’s chemistry, the best of Butler gives the Sixers the fearless two-way stud they lacked in pursuit of the Finals last season, and the worst of him could blow them up from the inside. Speaking of mercurial stars on stacked teams in powder-keg locker rooms, Green could make any conversation about championship X-factors moot if he plays to the level he has proven capable in the past. He has averaged a double-double with 6.4 assists and 3.3 combined blocks and steals per game in Golden State’s last four Finals runs, three of which ended with rings, and he does not get enough credit for that. He also derailed the Warriors’ only series loss of that run by losing his temper and threw another wrench into the dynasty by explicitly calling out Kevin Durant early this season. Durant’s free agency — and Green’s reaction to the looming cloud — continues to lie somewhere beneath the surface in the Bay Area. If ever it is to turn into an expletive-storm again, Green will surely be at the center of it. This is the essence of Green, who is always straddling the line between fiery competitor and explosive hothead. Which side he falls often determines Golden State’s fate. There are also actual basketball reasons to believe Green is the Warriors’ bellwether. Surrounded by three of the game’s greatest shooters and now an All-Star-level center, Green will be dared to test his career-worst 3-point percentage (28.5). DeMarcus Cousins (another fluster-able talent) can be a defensive liability, and Golden State’s depth isn’t what it once was, so Green’s offensive limitations are another potential equalizer on a team that grants few of them. Even then, Durant, Stephen Curry and Klay Thompson can still beat you, but if Green can’t find the bottom of the net, at least you can shrink the floor for the rest of them. This one is pretty straightforward. The Rockets cannot afford anything less than a 100 percent healthy Paul, much less another injury to the 33-year-old point gawd. 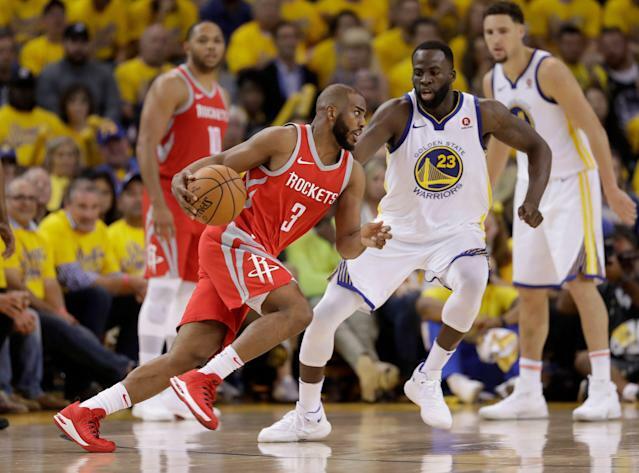 Houston has won better than 75 percent of its games with him in the lineup the past two seasons — the equivalent of a 64-win team — and it famously led the Warriors 3-2 in the Western Conference finals when his hamstring effectively ended his and Houston’s season. Paul is not the two-way dynamo he was for so many years with the Hornets and Clippers, but he is still an exceptional secondary playmaker on the occasion Harden needs spelling. He is also shooting 43 percent on catch-and-shoot threes, giving the reigning MVP another drive-and-kick outlet at his disposal, and he can still dial up the defense when possessions call for it. The question is whether his body can handle that dial-up on the number of possessions it takes to survive the West gauntlet. He has missed time to injury in three of his last four postseasons, including a pair of hamstring injuries, and his only healthy playoff run in that stretch ended in a first-round loss to the Utah Jazz. Even then, he looked gassed. He missed another month this season with a hamstring injury, and he has played more than 35 minutes just twice since returning in late January. He will likely be asked to do that every game going forward — opposite stud point guards — and the Rockets need his legs to withstand the pressure. Jamal Murray, Denver Nuggets: The third-year guard is as inconsistent a fringe star as there is in the NBA. Murray is capable of scorching scoring streaks, which often bleed into frustrating cold snaps. He followed his early November 48-point effort against the Celtics with 15 points on 21 shots against the lottery-bound Memphis Grizzlies, and he did not eclipse 20 points again for weeks — and shot better than 50 percent from the field just once over the next month. Likewise, in a two-week stretch around New Year’s, he mixed three dismal single-digit scoring outings around a trio of games in which he totaled 113 points. It is mostly consistency in volume that separates a player like Murray (18.2 points on 15.6 FGA and three FTA per game; 43.7 FG percentage, 36.4 3-point percentage, 85.7 FT percentage) from, say, a perennial All-Star like Damian Lillard (25.9 points on 19.2 FGA and 6.4 FTA per game; 44.5 FG percentage, 37.0 3-point percentage, 91.1 FT percentage). And it may be that difference that separates the Nuggets from true title contenders. 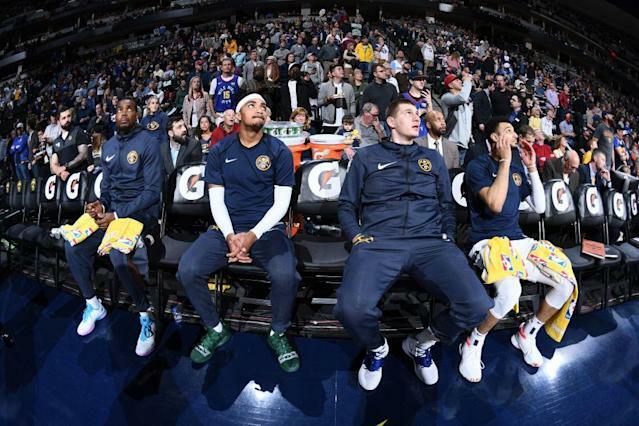 The Nuggets have won 50-plus games and made the playoffs for the first time since George Karl was coach on the backs of Jokic’s MVP candidacy and their stellar depth, which includes a handful of well-above-average rotational players. In order to survive the Warriors and Rockets in the West and challenge whichever team emerges from the East, the Nuggets will need a bona fide second star to emerge alongside Jokic. Paul Millsap, at age 34, Gary Harris and Will Barton are all capable of getting there on a given night, but it sure feels like Murray has to be the one who is really freaking good more often than not for the Nuggets to contend. Denver is 18-3 when Murray makes three or more 3-pointers in a game, and it is 14-1 when he shoots better than 50 percent from the field. Even still, that lone defeat came against the Rockets when Harden, Paul and Clint Capela were all operating efficiently, and Murray only made more than he missed in consecutive games a handful of times all season, so the Nuggets may need more than Murray rising to the occasion four times in a series to beat the West’s best.